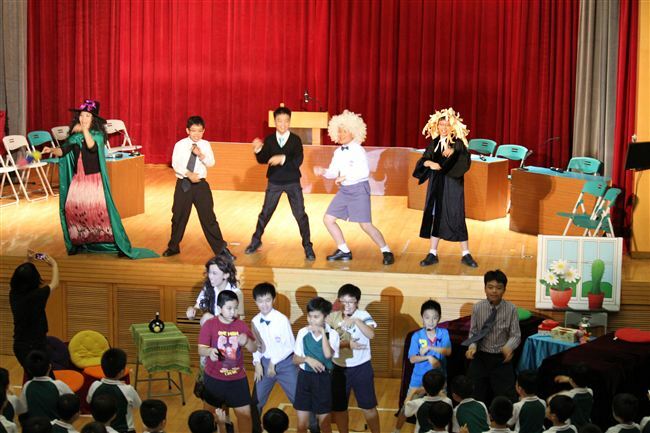 To allow students to learn English more effectively and with more exposure to Language Arts, our English Department has launched a drama programme in our English curriculum as one of the Language Arts components. Teaching English through drama provides a context for listening and meaningful language production. It allows students to us their language resources and enhances their linguistic abilities. It is very useful to use drama techniques in teaching readers and literatures as it helps analyzing plot, character and style. It involves students more positively and actively in the text. In addition, it provides authentic situations for reading and writing. The Drama in English curriculum provides for an opportunity for our students to experience another form of Language Arts. The contribution that drama makes to the emotional and imaginative development of our students is described within the curriculum. 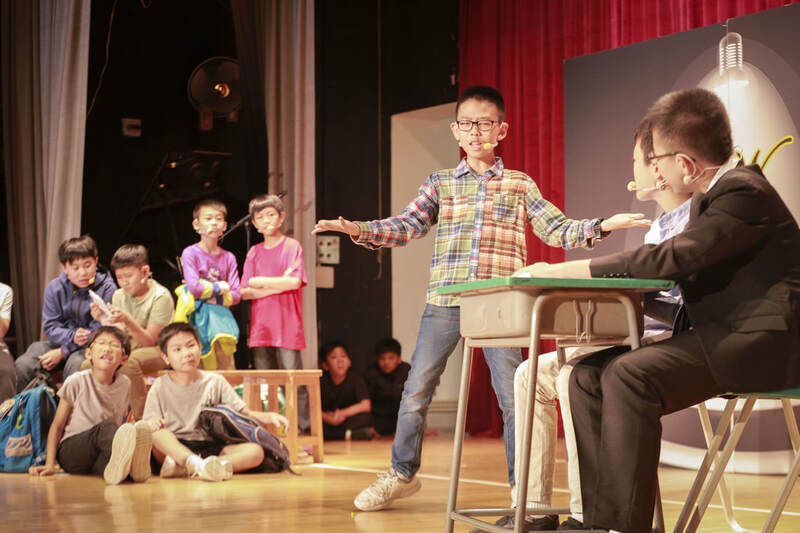 In developing the school-based drama curriculum, various practical activities are conducted and students are proffered with opportunities to see and to have hands-on experience in theatre production. Through drama, students are guided to explore the world of the imagination and to discover how language brings it to life. Expressive language, both oral and written, is for its enjoyment value and to help develop aesthetic awareness. This year's Drama Fiesta was a WOW in many aspects. It was held in the School Hall on 19 June 2018 with brilliant programmes for the junior and senior sessions as usual. 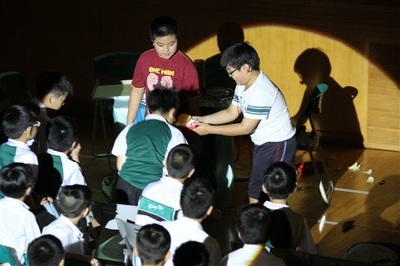 In the hall, the junior audience watched "The Rainbow", produced by Mrs Paul and Ms Cheng, "I Am Who I Am", produced by Mr Ching and Ms Kwok, as well as a fun video "Clinky Clanky Tenbo", directed by Ms Leung, Ms Jenny Ho and Ms Fung. 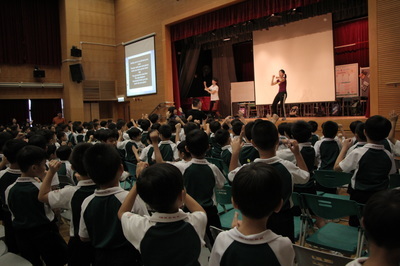 A body percussion session conducted by Mrs Ho was happily done as well. The senior audience got all the above except the body percussion part. In place of that, they had the very nerve-racking Improvised Dramatic Scenes for P.6 students. But they handled the tasks impressively well! All five classes did a great job! Furthermore, the Fiesta this year featured whole-level activities in the English Room, Covered Playground, as well as the Exhibition Hall. The entire morning was truly a BIG WOW! ​Read the event report here. 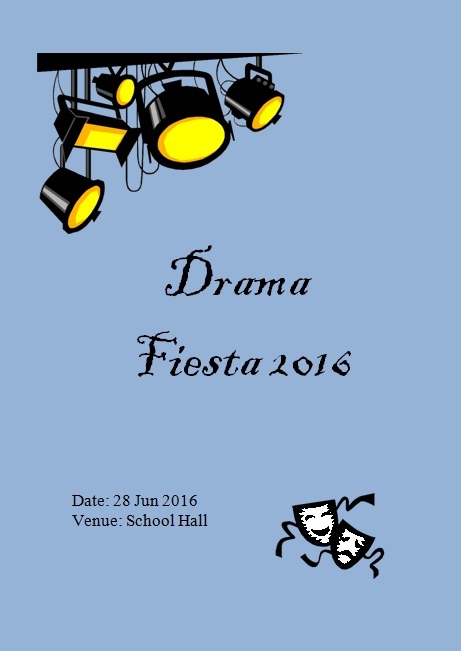 The fifth Drama Fiesta was brilliantly held on 27 June 2017. Again, it was a delight to watch all those innovative and fun-filled shows. For junior drama, we had "A Crazy Story" directed by Mrs Paul and Ms Cheng. 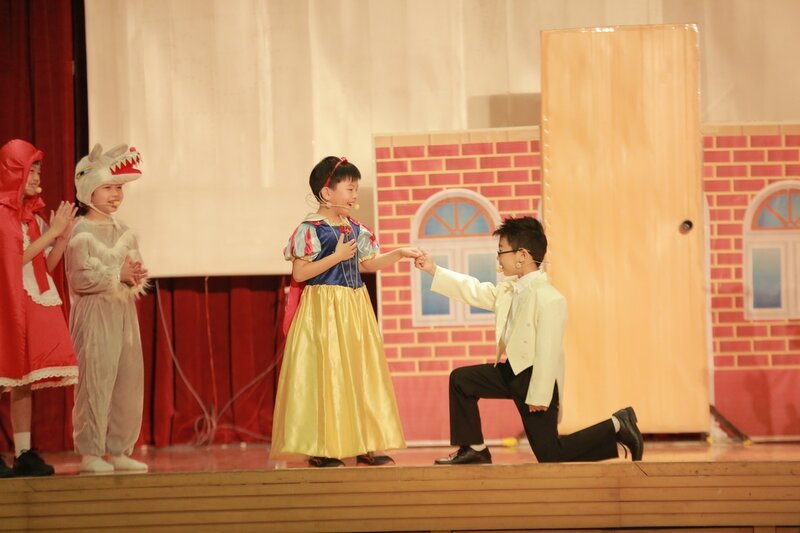 In this story which mixed up a lot of famous fairy-tales, the junior boys brought big smiles on the faces of the audience with their hilarious acting and girl costumes! For senior drama, Mr Ching and Ms Kwok's production of their award-winning drama "Who Dares to Dream?" continued to wow the audience with the complex plot and visual effects, bringing out the theme of "no pain, no gain!". Dreaming too unrealistically isn't really as good as working hard! Right? 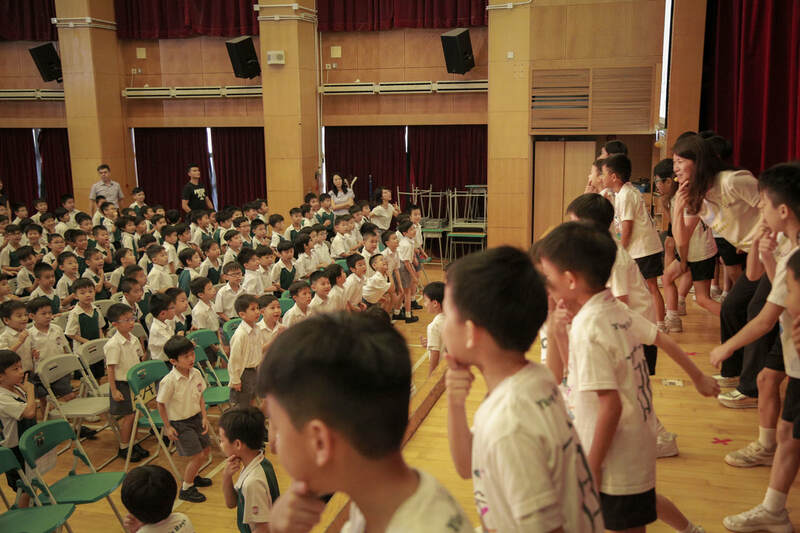 And also, the interactive video, "A Love 'Tail'", produced by Ms Jenny Ho, Miss Fung and Miss Leung was a sweet surprise with its witty mind-blowing storyline! 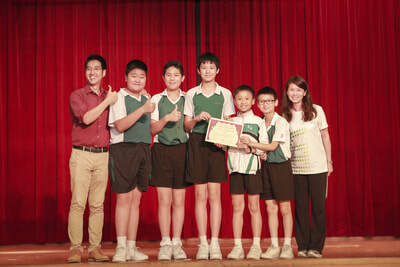 For the senior session, we again had the P.6 improvisation drama contest! 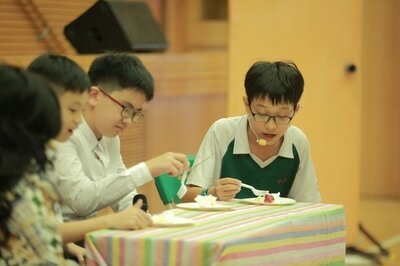 Mr. Richard was impressed by their performances and finally crowned 6C as the winner! All in all, this showcase of dramatic performances at the Fiesta was another memorable event held by the English Department this school year! Click poster for the programme. The fourth annual English drama variety show of YWPS, Drama Fiesta 2016, was successfully held on 28 June 2016. As the three previous occasions, it was a very memorable and fun-filled event for everybody. Two sessions were held, one for junior and another for senior. Two full dramas were played for both sessions. 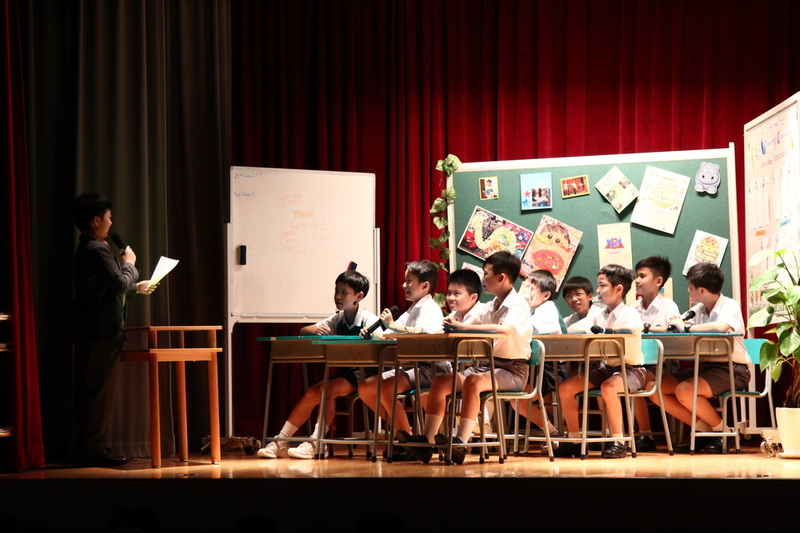 Mr Richard's directed work "Who Is Your Neighbour" recruited P.5-6 students who were relatively inexperienced in English drama performance. Yet this story on overcoming differences and building friendship with your neighbour was delivered very clearly with a good moral for all viewers. 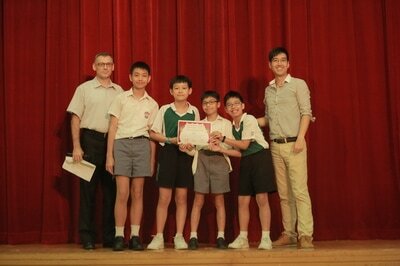 The other play was Mr Ching's award-winning work "Why Can't You Do It Yourself". His elite P.5-6 drama team once again showed us their acting skills which brought them awards in both Speech Festival and Drama Festival. This is also an educational story on a family over-relying on a "domestic robot", and the children learn their lesson in the end. This story was originally written by the drama team in our 2013-2014 cohort. 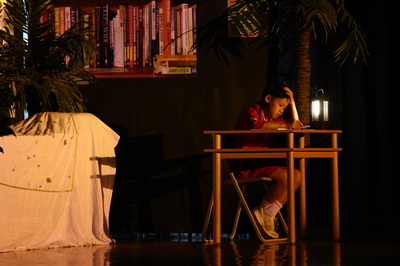 Beside these two plays, the sessions had different performances to wow the audience, involving two video shows and one competition. In the junior session, a very funny video "Snow Bright and the Seven Sumos" was played. This story, which was obviously an adapted version of the Snow White tale, was played by some very cheerful and skillful P.1-3 students and was directed by Mrs Paul, Ms Jenny Ho and Miss Angel Leung. The audience simply loved this story! In place of this video for the junior, the senior session had a clip on our winning Thematic Group Speaking Team (which was made up of mostly Mr. Ching's drama group members). The audience finally got the chance to see the complexity of the 13-min act combining different genres of texts and the talent of these young performers. The most exciting part of the senior session was, however, the P.6 improvised drama competition. About 5 students from each class were given a topic and 10-min preparation time to perform a 5-min act on stage. All the teams gave a good display of passion for drama on stage. Judged by Mrs Paul, 6B came first, 6E came second, followed by 6C. The other two classes were awarded Merit. Drama Fiesta has become the English Department's tradition. We would like to keep improving the programme and continue to enhance students' motivation to enjoy English as a form of art. YWPS's third Drama Fiesta was successfully held on 18 June 2015. With a few more newly added programmes, the Fiesta was even more vibrant and pulsating. 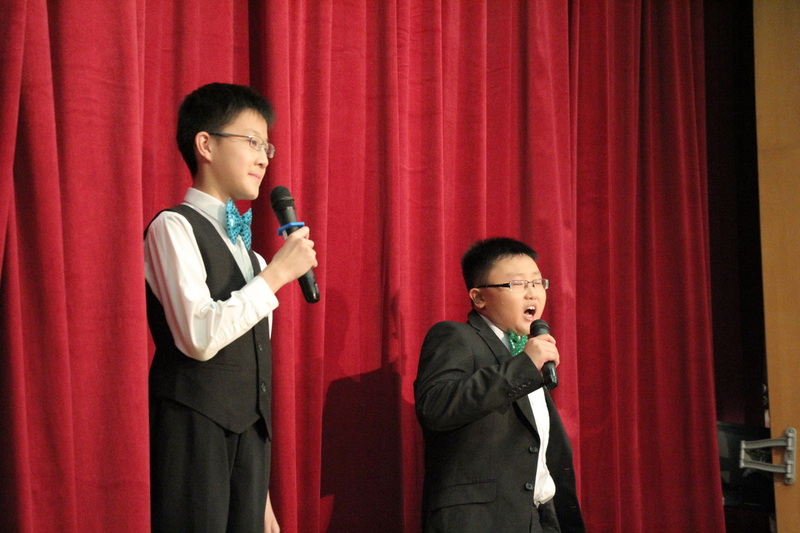 Two animated MCs, Risto Leung (6C) and Jason Li (6C) brought the whole show to life. 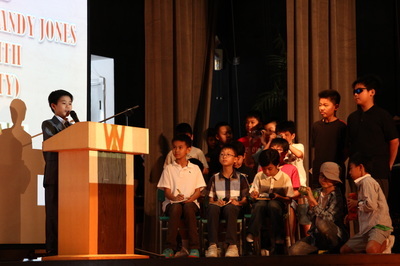 The first show, "Be Careful of What You Wish for" was directed by Mr Richard Woods and Mr Thomas Ching. 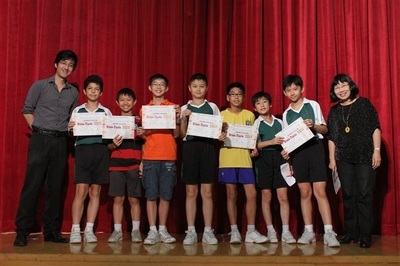 The charismatic Teacher, starred by Anson NG (4D), demonstrated his talents in drama on stage along with other sparkling actors. 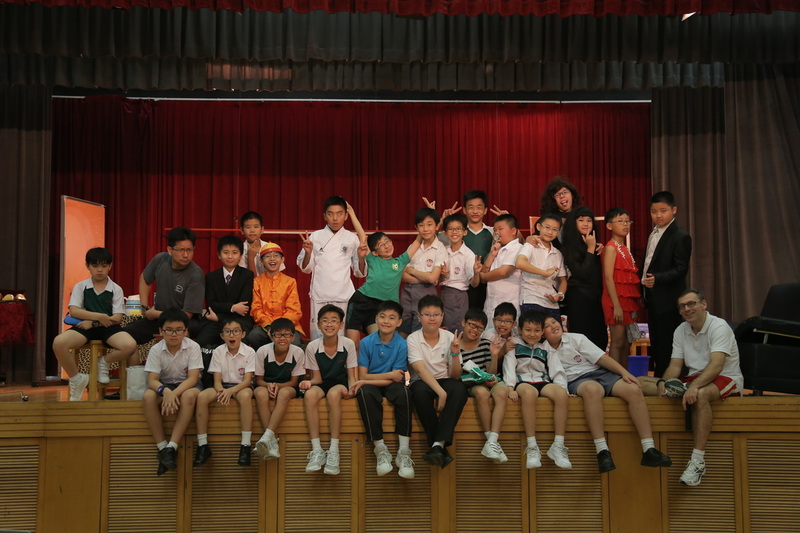 The next show was a short film produced by Miss Claire Leung. It was titled “MI7: English’s Mission” to echo with this year’s school theme “C.I.A.” (aka “Creative Intelligence Action”). The movie was based on the original production “Johnny English” (starring Rowan Atkinson). Our Drama Team actors’ hilarious and comical acts made the whole hall of audience burst into laughter. The third performance was a winning performance from our Drama Team. This genre was called Thematic Group Speaking. Dr Peter Lee put together a 15-min thematic script, incorporating different text types, for the 10 performers to act out. Just as their performance during the Speech Festival contest, they shone on the stage again. 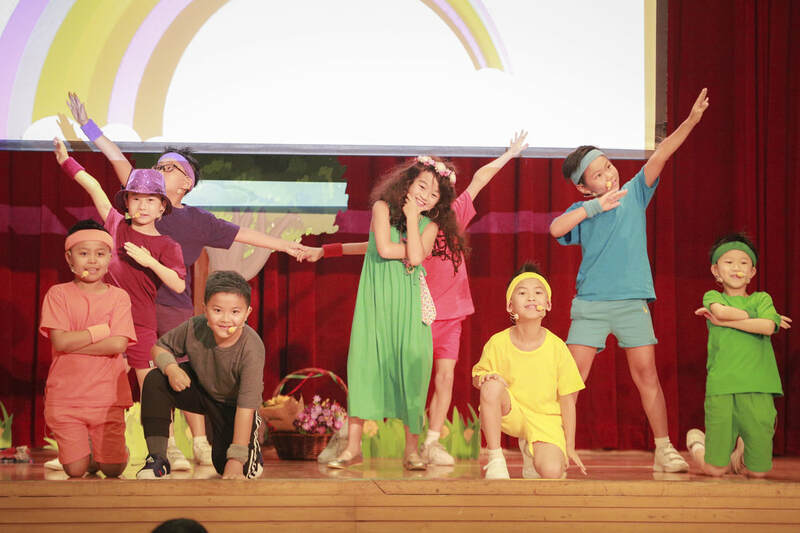 The fourth number was a video produced by Ms Abanty Paul, Ms Jenny Ho and Miss Angel Leung by recruiting junior actors.This video “Stone Slop” was based on and adapted from the story “Stone Soup”. 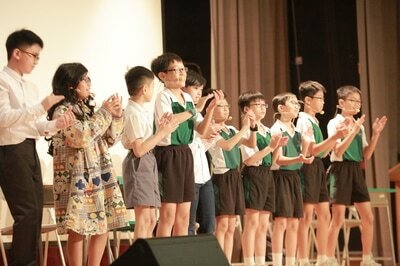 The young boys’ cheerful and lovely faces melted the audience’s heart. But the most memorable act was the last one - a body percussion activity involving the whole audience led by Mrs Rebecca Ho and Miss Agnes Hio. The teachers trained the audience a few effective moves and led them to move with the music "We Will Rock You"! 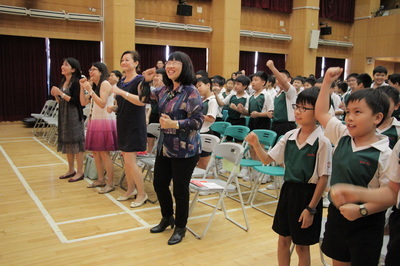 Our teachers and guests danced together with the excited students. Clearly, the fiesta once again gave everybody a very memorable day! 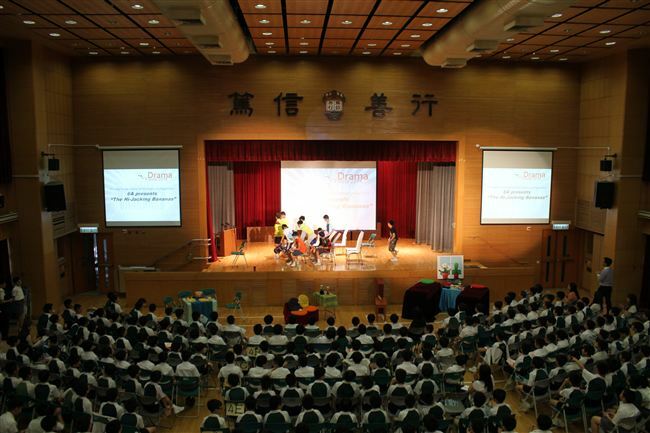 To continue the zealous enthusiasm of dramatic mood, the second Drama Fiesta further expanded its programmes. 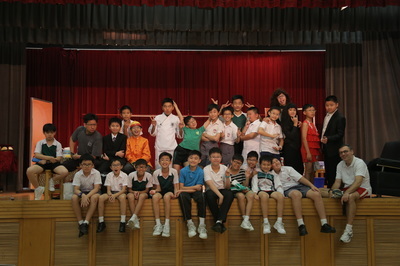 All the five P.6 classes entered the Grand Finale of the “P.6 Inter-class Mini-Drama Competition”. 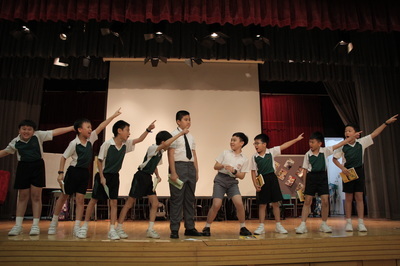 They all excelled themselves on putting a mini-drama show based on the theme: Aviation. 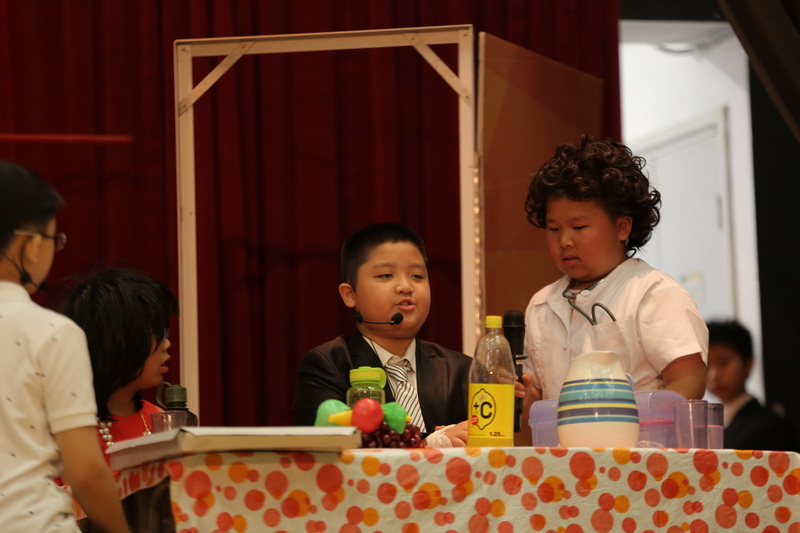 Thanks to Ms. Jenny Ho, Miss Angel Leung, Miss Vera Fung and Mrs. Abanty Paul, we had three well-produced mini-movies acted by junior primary students. Our NET, Mr. Richard Woods, also wrote and directed a play called “The Accused”. 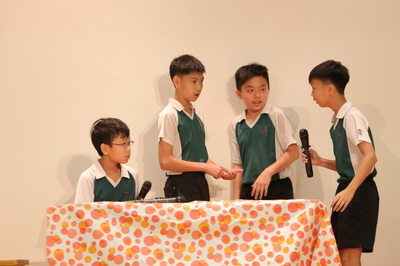 It was performed by a group of P.4 and P.5 boys. Who was being accused? What was accused? Beside “The Accused”, “The Wake-up Call”, written and directed by Miss Claire Leung, was another highlight of the Fiesta. 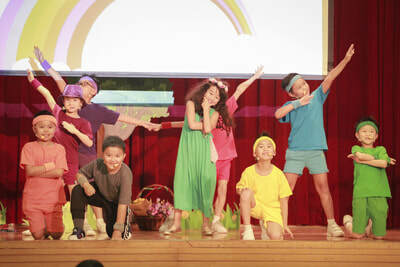 The school Drama Team vividly acted on stage. Two of them became criminals and were accused of overeating leading to obesity. Even worse, Dad was about to be imprisoned because of them! Was it real or was it just a dream? 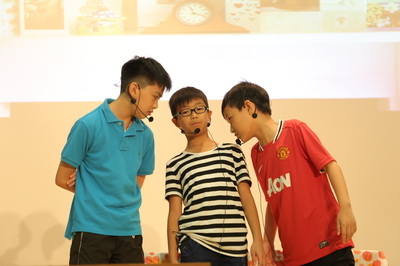 Our first Drama Fiesta was held on 25 June 2013. Our NETs, Mr. Richard Woods and Mr. Thomas Ching, had directed two plays which received endless rounds of applause. 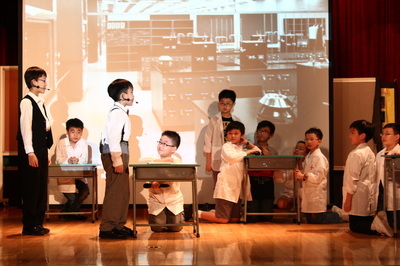 The first drama, “The Book of Control”, was directed by Mr. Richard Woods, and was performed by a group of P.5 actors. It is a story about a boy, Michael, who realizes that he can control people and situations by writing things in his diary that all come true. He starts off using the diary to control his own fortunes. However, because of the power and control the diary seems to give him, he uses it to negatively affect his classmates. Eventually, his classmates find out and confront Michael. They urge him to destroy the diary and restore their friendship. The question is, will he? 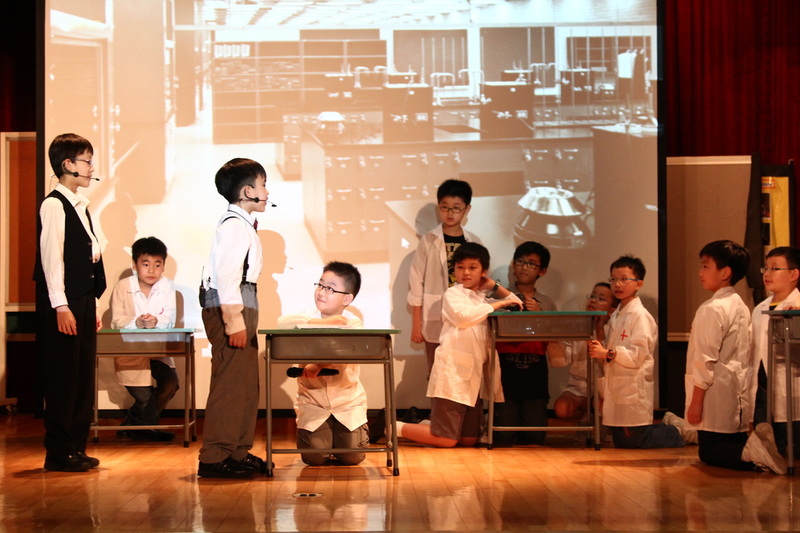 For the second play, “The Time Device”, it was directed by Mr. Thomas Ching and performed by our P.4 actors. It is a fantasy — traveling through time. Every boy’s dream is to find the answer to time travel! It takes a Nobel Prize laureate to make this a reality… but what happens when technology falls into the wrong hands?